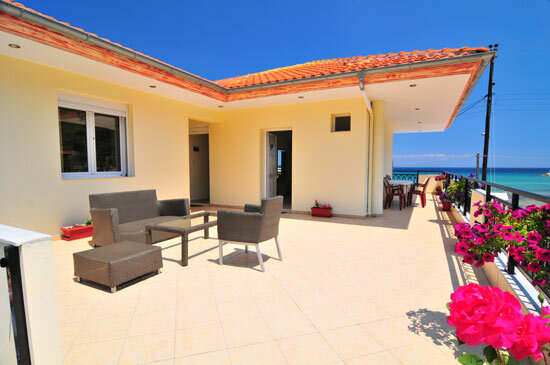 Welcome to Studios Heaven, located in the beach resort of Skala Potamia. 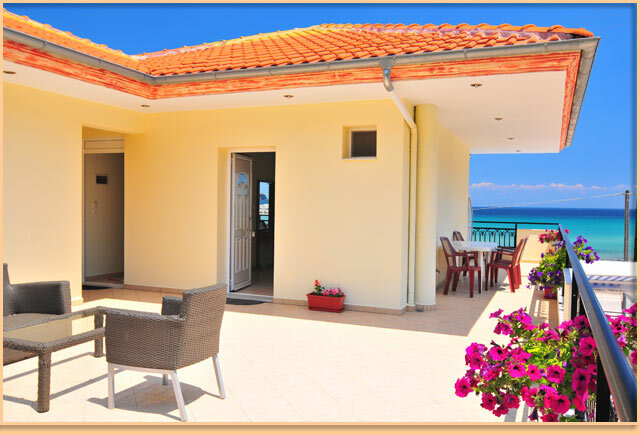 We are a small self-catering facility with studios that offer impressive views to the sea and to the mountains of Golden Beach. 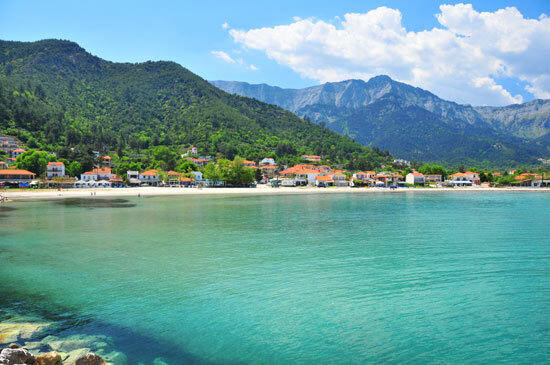 Our studios are located within easy walking distance from Golden Beach, one of the largest and most beautiful beaches that Thassos has to enjoy. We offer 3 attached studios which can accommodate between 2 to 3 persons each. 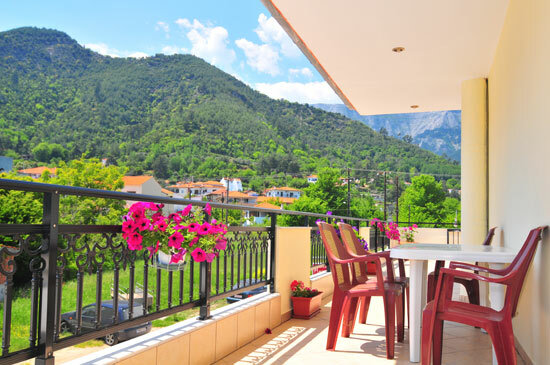 They share a large balcony patio with a shaded seating area offering stunning views to the beautiful mountains and the crystal-clear Aegean. 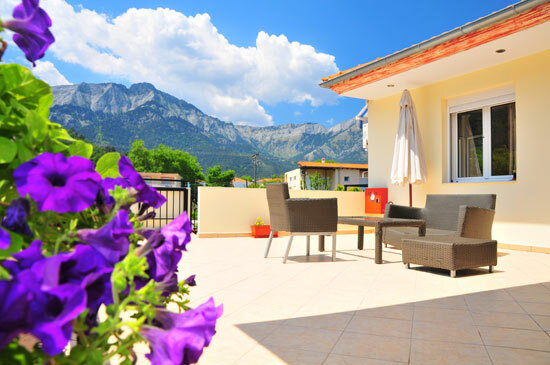 Studios Heaven is perfect for guests wishing to have a place next to the beach during your holidays. Renting all 3 of our studios is a great way for groups of friends and family to spend time with each other privately in a wonderful location. 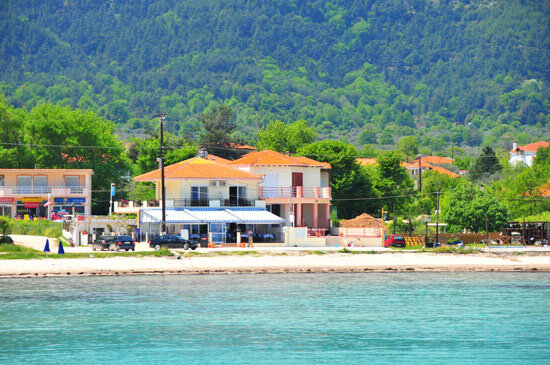 Just below the studios is our Restaurant "Filippi", so staying with us will give you convenient access to delicious Greek cuisine, snacks, coffee, or what ever you desire whenever you desire it. 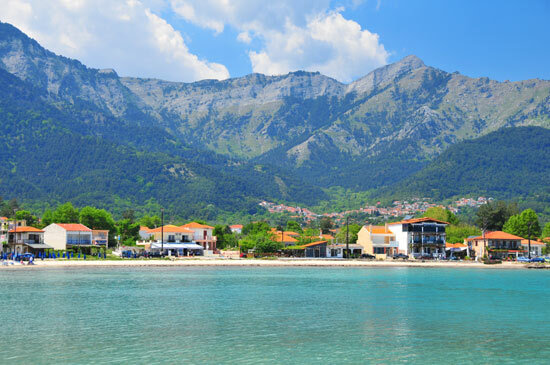 We are a short walk away from numerous restaurants, bars, and cafes, and plenty of holiday services.